Abalta Technologies plans to integrate Amazon Alexa into its WebLink connected car platform, enabling drivers to access Alexa on WebLink-enabled in-vehicle infotainment (IVI) systems. Automotive Grade Linux previewed new speech recognition APIs with Amazon Alexa, along with infotainment and instrument cluster demonstrations. Eyelights announced a vehicle solution with Alexa integration that broadcasts smartphone displays onto the windshield, eliminating the need to consult a smartphone while driving. 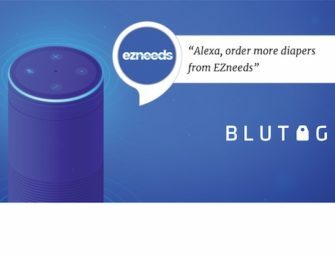 Elektrobit is demoing its Android-based cockpit software platform integration with Amazon Alexa. ICS and the Qt Company announced they are leveraging the Amazon Alexa Auto SDK to deliver three new Automotive Grade Linux applications. iOttie announced its Easy One Touch Connect smartphone car mount featuring Amazon Alexa built-in. Jarvish demoed the Jarvish X-AR motorcycle helmet, a distraction-free, voice-activated and retractable head-up display powered by the latest AR tech & critical information so customers can keep their eyes on the road. The helmet has Amazon Alexa built-in. Luxoft announced that Amazon Alexa will be integrated into vehicle dashboards, infotainment and navigation systems. MOLEX announced its working with Accenture and AWS to bring edge-computing and Alexa to the Molex Automotive Ethernet Network Platform. Nextbase showcased the Series 2 Dash Cam range with Alexa built-in, using the Alexa Mobile Accessory (AMA) kit. P3 North America announced a new software integrator for Alexa Auto. Parkbob introduced a new skill for Amazon Alexa that lets users ask parking-related questions, with support for 13 of the largest cities in the United States, including New York, San Francisco, and Los Angeles. Pioneer introduced two prototype implementations that allow Amazon Alexa to be accessed through its in-dash multimedia receivers.